Earth Science Field School is a 12-day, field-based, summer session course, generally taken by SEOS students between their second and third year of studies. It is a required course for students in our Earth Sciences and Geophysics (both Major and Honours) programs and is an option for students in our Chemistry, Biology and Geography combined programs. 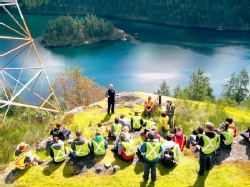 It is also required to meet the Association of Professional Engineers and Geoscientists of BC (APEGBC) academic qualifications for both their 'Geology' and 'Environmental Geoscience' designations. While enrollment dependant, it is anticipated that two sections of the course will be offered concurrently, comencing immediately after the spring term examination period. Enrollments for both these sections will be limited to approximately 28 students each and preference will be given to declared students whose SEOS program requires the course. A participation fee over and above regular tuition will apply to this course. Pre-requisites of EOS 201 (Sedimentary Geology) and EOS 202 (Structural Geology) are strictly enforced. More course information. Advanced Field Geology is a 10 day, field-based, summer session course, generally taken by SEOS students between their third and fourth year of studies. 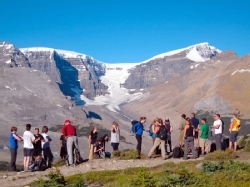 It is a required course for students in our Earth Sciences (Major and Honours) programs. The program is normally scheduled immediately prior to the commencement of fall term classes. Enrollment will be limited to approximately 28 students and preference will be given to declared students whose SEOS program requires the course. A participation fee over and above regular tuition will apply to this course. Pre-requisites of EOS 300 and EOS 316 (Igneous and Metamorphic Geology, or EOS 310 and 320) are strictly enforced. More course information.